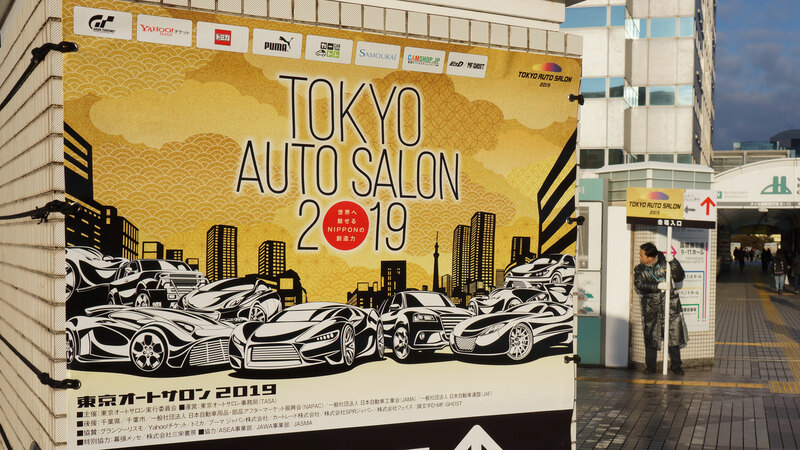 Not to be confused with the Tokyo Motor Show, Tokyo Auto Salon is where Japanese manufacturers and aftermarket tuners assemble to showcase their wild and wonderful creations. 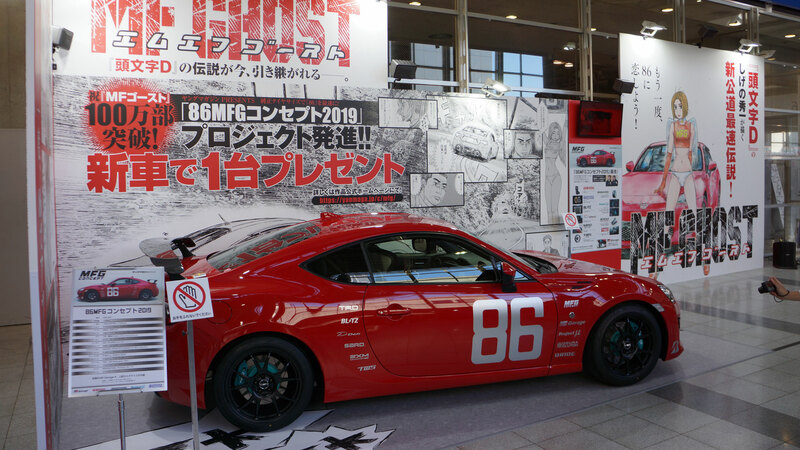 You’ve just missed this year’s show, but our round-up should give you a flavour of the event if you intend to make a pilgrimage to Makuhari Messe in 2020. 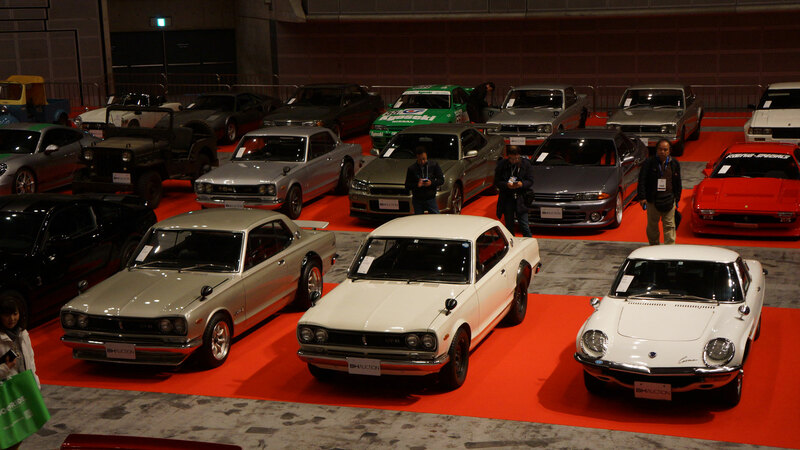 If we had to choose one car to capture the tone of the Tokyo Auto Salon, this might be it. The Nissan Juke Personalisation Adventure concept doesn’t look too dissimilar to the Juke Nismo RSnow of 2015, but this one has huge extended wheelarches. Power is sourced from a 1.6-litre turbocharged petrol engine, while the roof rack is designed to serve as a landing pad for drones. 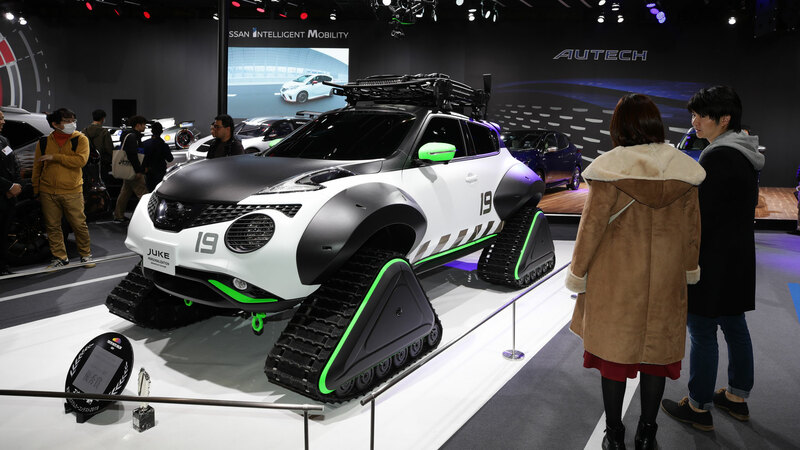 Before you, ahem… make tracks to your local Nissan dealer, this concept is all snow and no go – a production version is extremely unlikely. 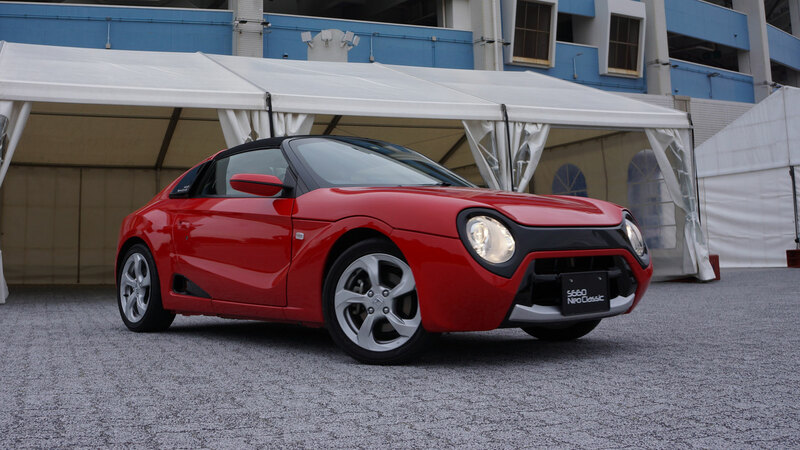 There’s much to love about the Honda S660. It’s small, mid-engined, turbocharged, lightweight and cuter than a kitten wearing a Hello Kitty nightcap. In fact, there’s only one thing we don’t like: the fact that it’s not available in the UK. This Neo Classic version only serves to crank up our jealousy-o-meter. Gone is the Honda Beat-style look of the standard car, replaced by something dripping in retro charm. We want one. Sales of the N-Van began in July 2018, with Honda ‘studying the everyday lives of working people and pursuing high usability for various types of jobs/businesses’. 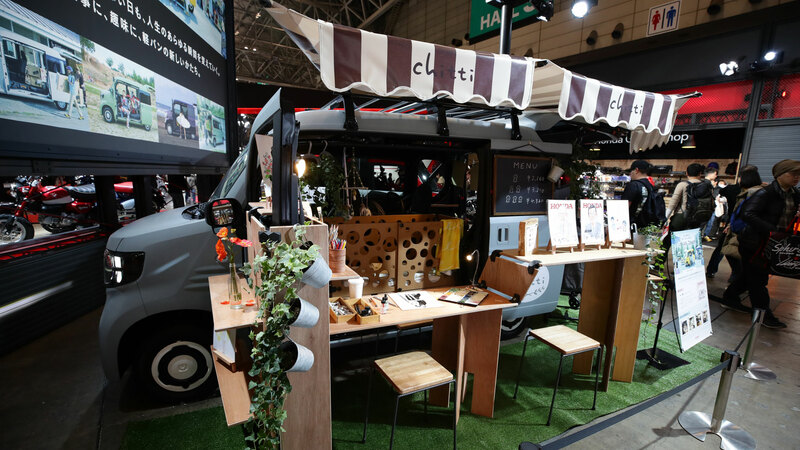 Under the banner of ‘N-Van Dream’, Honda asked people to submit their own designs for ‘work and play’ versions of the N-Van, and the design for this Art Stand concept was submitted by Chihiro. It features prefabricated tables and shelves, storage for art supplies and space for a baby cot. 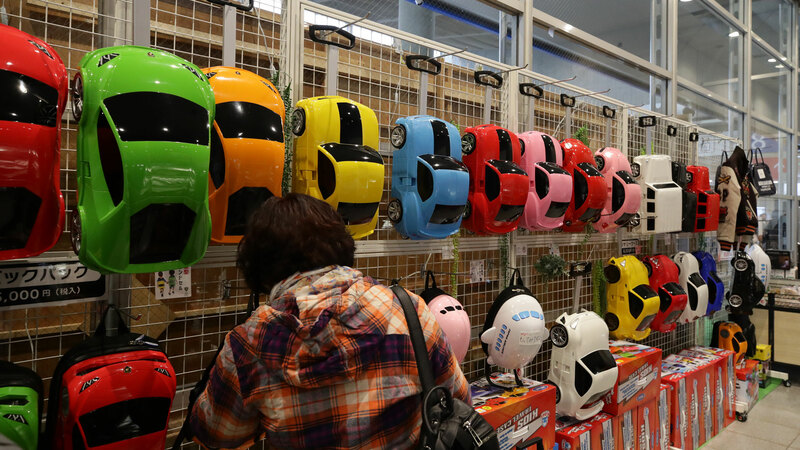 Other designs include N-Vans for dog grooming, a surf shop, motorcycle storage and a beauty parlour. Which one would you choose? 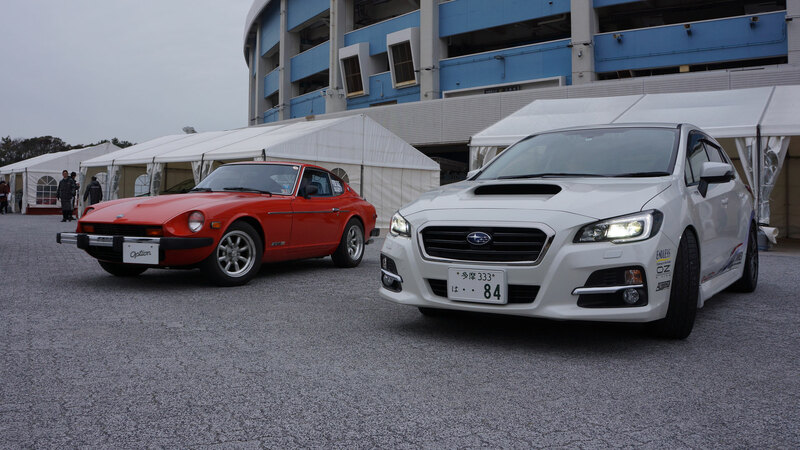 A Datsun 280Z or a Subaru WRX? 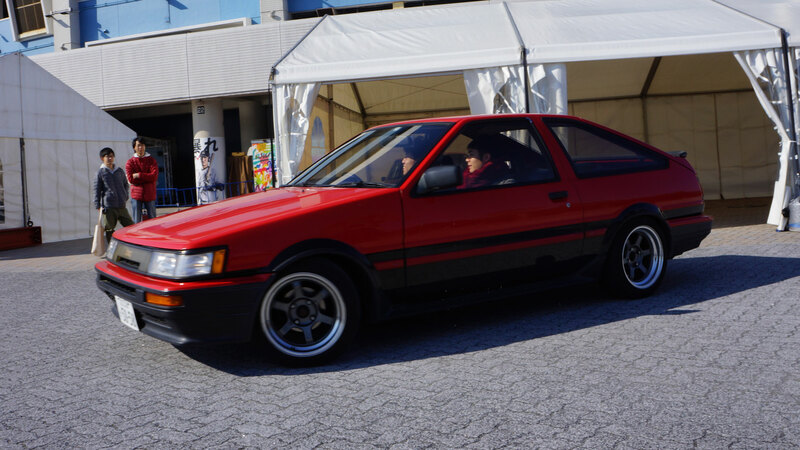 The Tokyo Auto Salon was inaugurated in 1983 as ‘Tokyo Exciting Car Show’, and it has grown to become one of the world’s largest custom car shows. 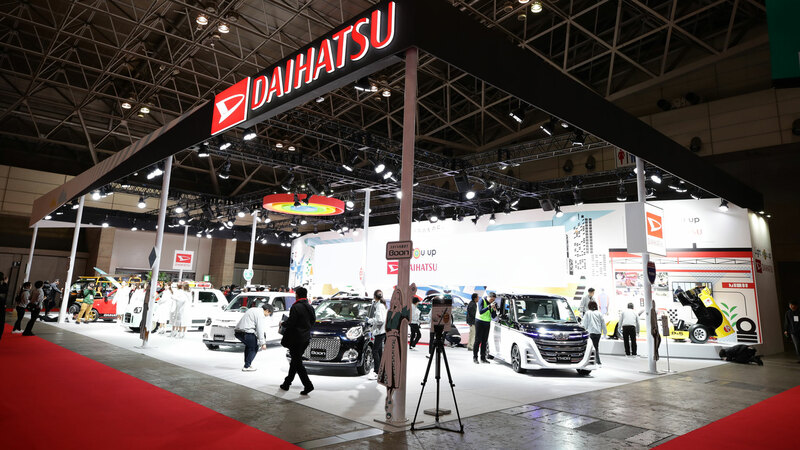 This year, some 426 exhibitors took to the Makuhari Messe International Convention Complex, where more than 900 vehicles were on display. Around 330,000 people walked through the doors – up 104 percent compared to last year. 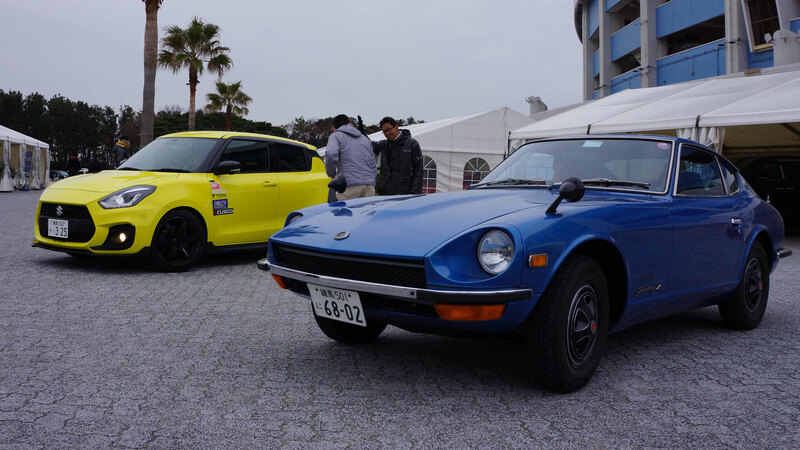 Another case of ‘old meets new’, this time in the form of a Datsun Fairlady Z and a modified Suzuki Swift Sport. The Champion Yellow warm hatch – other colours are available – features a 1.4-litre turbocharged engine, making the driving experience radically different to that of its predecessors. We’d say it’s not quite as engaging as its forebears, but if you fancy trying a Swift Sport for yourself, Suzuki is offering £1,000 off the list price, meaning you’ll pay £17,499. 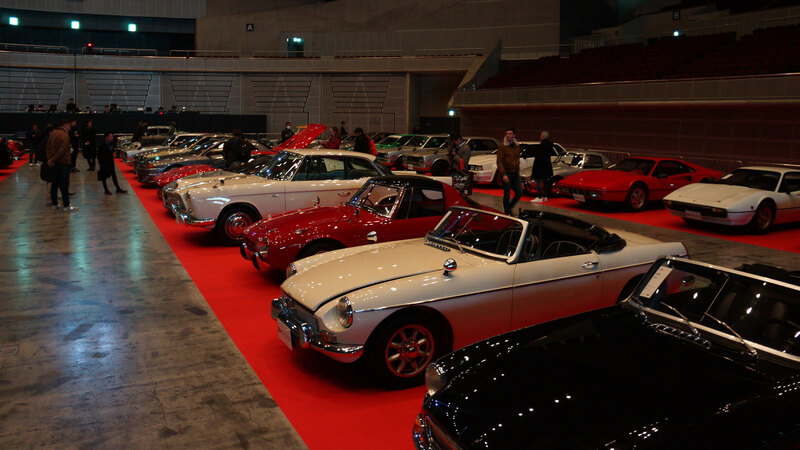 In common with many car shows, the Tokyo Auto Salon played host to an auction of collector cars. 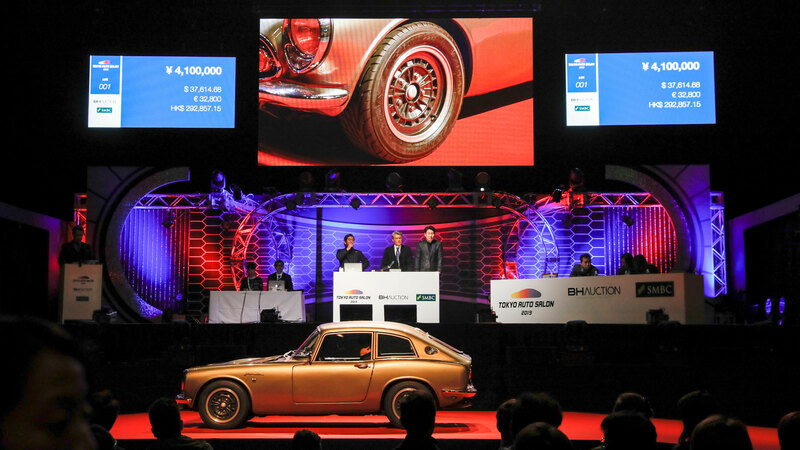 Some 50 cars went under the hammer, including this 1968 Honda S800M Coupe, which sold for 8,470,000 Yen (£61,000). Feast your eyes on this little lot. To celebrate 50 years of the Nissan Skyline GT-R, 10 first- and second-generation GT-Rs went under the hammer at the BH Auction sale. The results of the auction are just beginning to filter through, but we know that one sold for 24,200,000 Yen (£174,000), while another went for 17,600,000 (£126,000). Non-Japanese auction lots included a pair of MGBs, a Caparo T1, Porsche Carrera GT, Ferrari Mondial T prototype, Ferrari F40 and a Ferrari 308 GTB. Of the confirmed sales, the F40 sold for the highest amount, with bidding closing at 121,000,000 Yen (£870,000). Is it really 30 years since the second-generation Toyota MR2 hit the market? 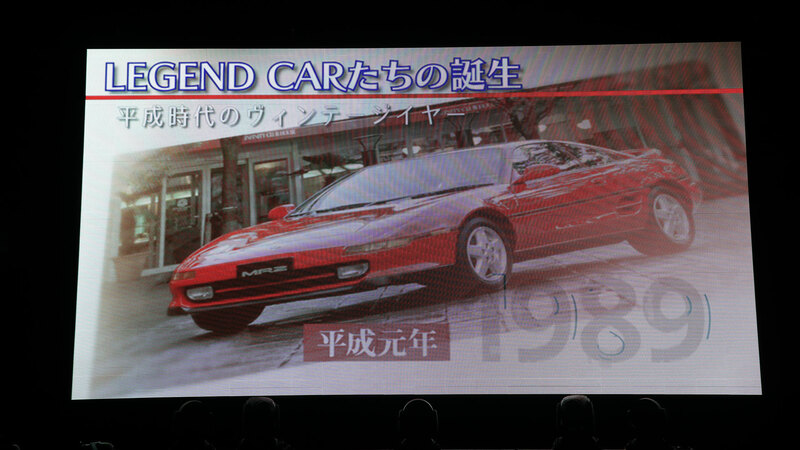 It went on sale in Japan in October 1989, a few days before the Tokyo Motor Show, with the UK launch following just six months later. As the second largest export market behind the USA, the UK was seen as an important country for Japan, so much so that two prototypes were sent to these shores for suspension and steering development. Rally Japan was expected to return to the World Rally Championship in 2019, but the plans were shelved on the grounds of cost. This would have angered Rally Japan and Toyota, who had worked tirelessly for Japan to host its first world championship event since 2010. 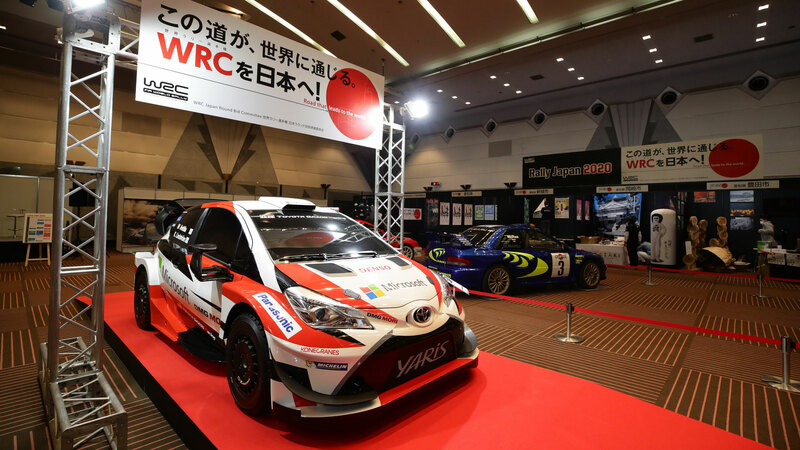 In November, around 55,000 fans attended a WRC candidate event in Shinshiro, as the organisers make plans for a successful 2020 bid. 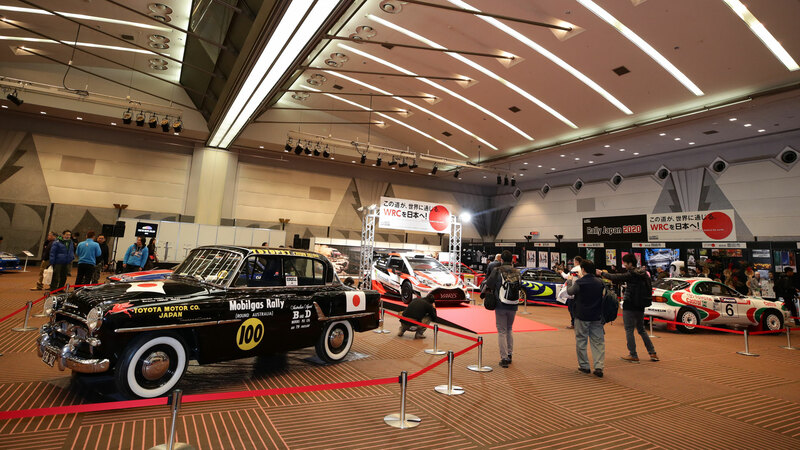 The Rally Japan stand made for an evocative display at the Tokyo Auto Salon. This is a replica of the Toyopet Crown Deluxe which took part in the 1957 Round Australia Trial. This was Toyota’s first rally car, and when it had crossed the line, it had completed 17,000km in 19 days. Even with just 48hp under the bonnet, the 1.5-litre Crown finished 47th overall. A total of 34 cars didn’t even make it to the finish. 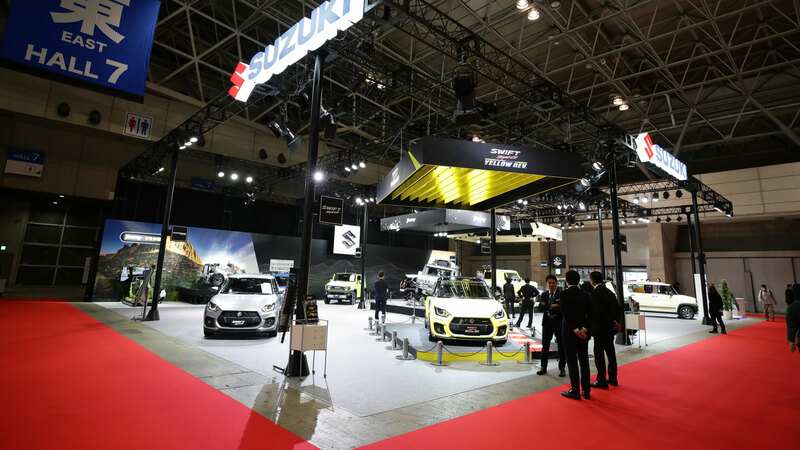 A Suzuki Swift Sport and Jimny would make for a pretty solid two-car garage, so there was plenty to admire on the Suzuki stand. The Yellow Rev concept features a High Chroma Yellow Pearl paint job, a black roof, black alloys, additional decals and an aero kit. But the Yellow Rev is more than just a cosmetic exercise. The bumpers, alloy wheels and seats have all been lightened to make this the lightest Swift. We miss Daihatsu in the UK. 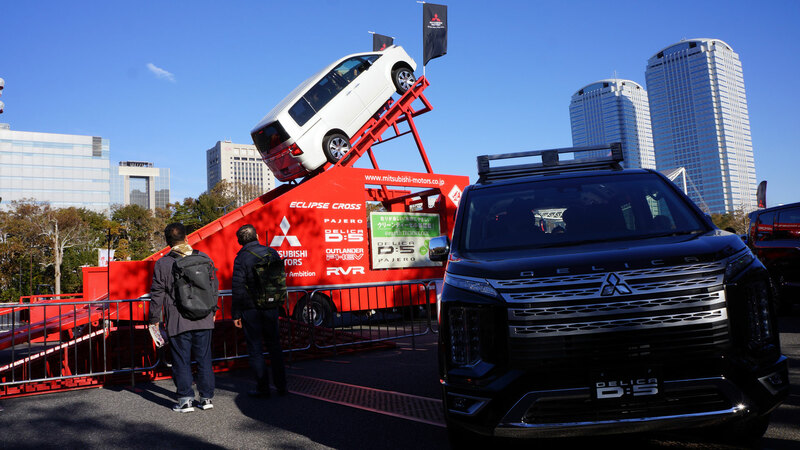 In the foreground, you’ll see the Mira Tocot kei car; a Boon, which shares a platform with the Toyota Passo; and a Thor, which is also badged as a Toyota Tank or Subaru Justy. More cars should be called Boon, Thor and Tank. In the background, check out the Daihatsu P5, which was a Japanese Grand Prix car of the late 1960s. These travel cases are designed for kids. We’ll take three from the top and two from the middle, please, Rachel. Because we haven’t grown up. As if to prove that the humble MPV still has a role to play in this SUV-obsessed world, here’s the facelifted Mitsubishi Delica D-5. It’s a bold look, and it looks like Mitsubishi has a bold plan to solve Tokyo’s traffic problem. We’re not sure the sky’s the answer, mind. In standard form, the Toyota Aqua is a dull but worthy small car. But the Gazoo Racing version is anything but standard. 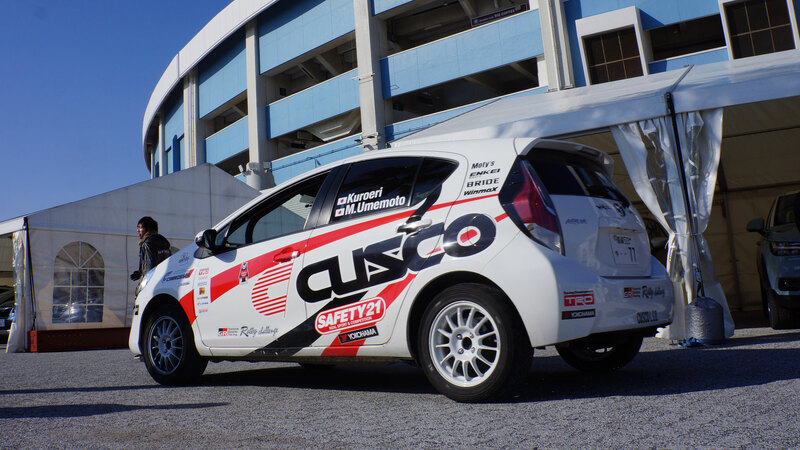 Toyota unveiled Gazoo Racing versions of the Vitz and Aqua at the Tokyo Auto Salon in 2017 as it hoped to demonstrate how vehicle customisation can help to increase vehicle enjoyment. 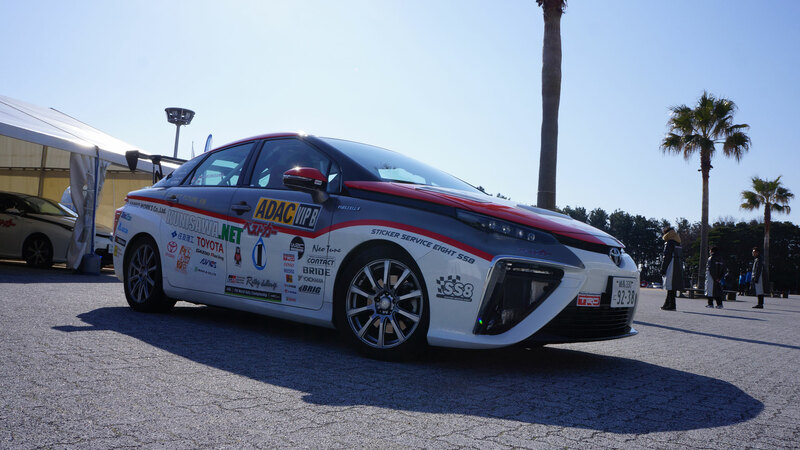 We conclude with a fully stickered-up Toyota Mirai. In 2015, Toyota used this hydrogen fuel cell car as a stage-opener at the ADAC Rally Deutschland, an event on the WRC calendar. “It is our dream that one day our fuel cell vehicles will be able to compete in WRC. Spectators at the Rallye Deutschland will have to get used to this noiseless premiere at Trier, but they’ll experience the art of an almost pollution-free future,” said Yoshikazu Tanaka, the Mirai’s chief engineer in 2015.